ealra hālgena ǣfen: all hallows’ eve. Happy Halloween! Image: Unfortunately I don’t know where this is from. (If anyone can fill me in, that would be great!) 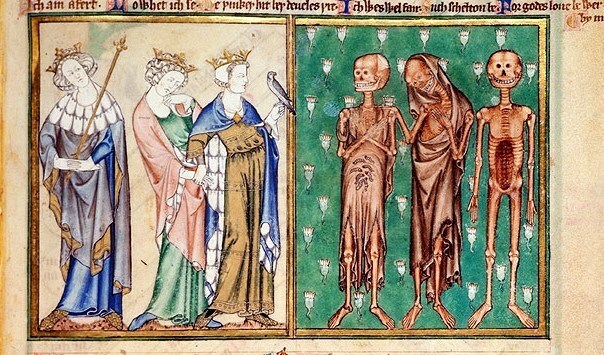 However, I found it in the post ‘The Medieval Walking Dead’ (source medievalists.net) on a blog by Juliette Bourdier. 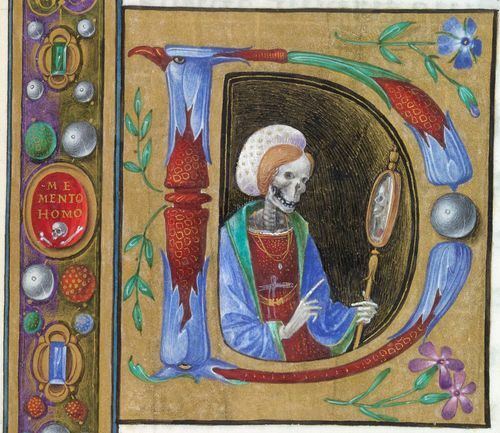 She’s got some great posts on the medieval, so check it out. 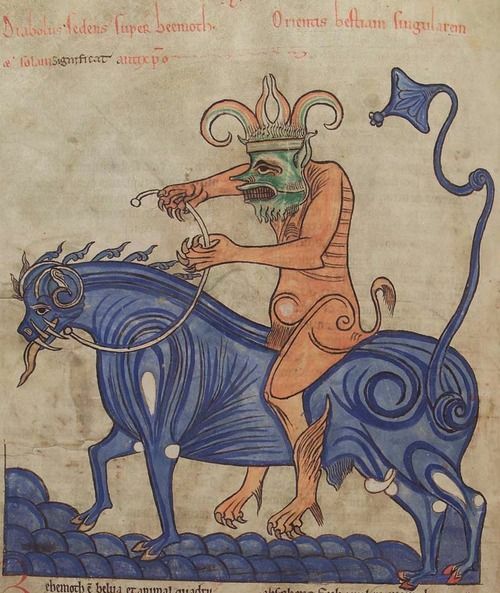 Lambert of Saint-Omer, Liber Floridus. Marchiennes (? ), ca. 1150-1170.
þyrs, m.n: a giant, an enchanter, a demon. Describes Grendel. gāst, m.n: the breath; the spirit, soul, ghost. wicce-cræft, m.n: witchcraft, sorcery, magic art.